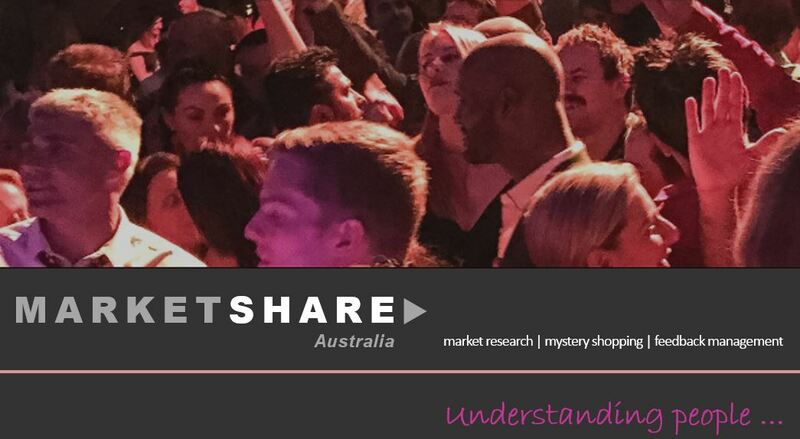 Marketshare Australia is recognised as both a pioneer and leader in Market Research, Mystery Shopping and Customer Feedback Systems. For over three decades we have regularly explored and measured the attitudes, behaviours and needs of Australian consumers and businesses. We are independent, locally owned and consistently feature as one of Australia’s leading market research agencies. We are a boutique agency, focused on delivering clear information and insights to our clients. What sets us apart from other agencies is our focus on our clients and the relationships we build with them. Our integrated programs combine proven methodologies in market research, mystery shopping and customer feedback management with today’s digital data acquisition and analytical systems. This hybrid formula offers unique insights into the journey, experience and expectations of your customers. We understand that the focus of all Business is to meet their customers or clients’ needs and to stay ahead of their changing needs, wants and desires. At the very core, it is simply about understanding. market research – helping you to understand your customers better. mystery shopping – seeing your business through the eyes of your customers. feedback management – listening to your customers. We can deploy all three approaches or just one – we seek the best match to suit your needs.